Weekly DCI.now prizewinner named, you too can be a winner! Congratulations to Sandelo Berardesco of Brick, N.J., our weekly, randomly selected DCI.now prizewinner from the week of Friday, March 24! 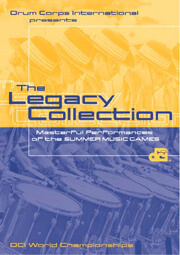 Berardesco chose the 1989 Legacy Collection DVD.